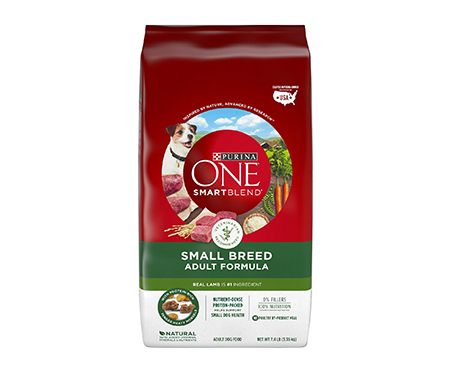 Give your beloved small dog the nutrition he needs to be his best every day with Purina ONE SmartBlend Small Breed Lamb & Rice Formula Dog Food. 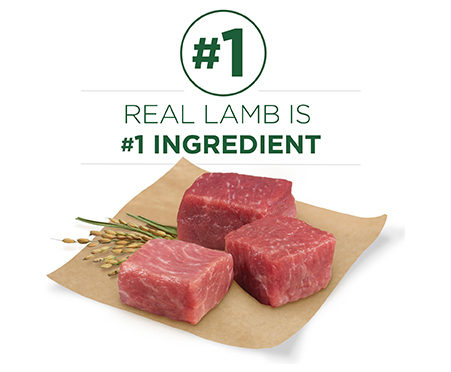 This recipe includes real lamb as its first ingredient, plus it's made with 0 fillers—so you know every high-quality ingredient has a purpose. It's formulated to support the health of small dogs throughout their adult life, and it's highly digestible too! Your pal will love this delicious meal that delivers big flavor, plus an antioxidant blend designed to support your little one's immune system. 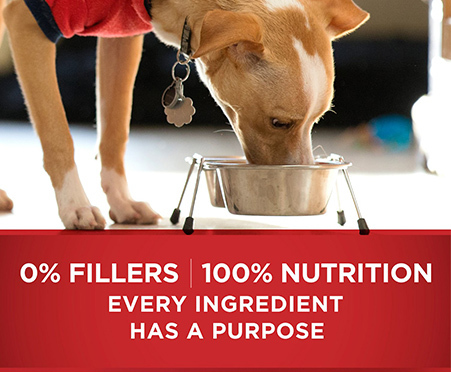 Every meal provides your faithful friend with 100% complete and balanced nutrition, and the protein-packed recipe helps support his strong muscles, including his heart. Your dog gets a natural meal plus vitamins and minerals, and the crunchy kibble and tender, meaty morsels keep him coming back to his bowl. Made with real lamb as the first ingredient, followed by other high-quality ingredients to nourish your small dog throughout his adult life. An antioxidant blend helps supports his immune system, while a highly-digestible formula goes easy on his small stomach. Protein-packed to support his higher metabolism and strong muscles, so your little one can jump higher, longer. 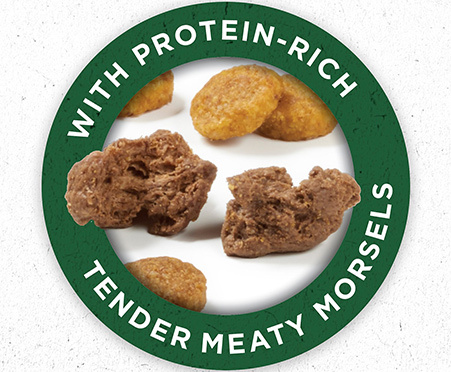 Made without unnecessary fillers, including poultry by-product meal—every ingredient is specifically chosen with a purpose! Offers 100% complete and balanced nutrition for your beloved pal in every bowlful.